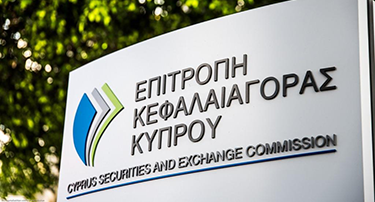 In November 2016 the Cyprus Securities and Exchange Commission (CySEC) issued a circular (C166 dated 4 November 2016) to administrative services providers it regulates informing them of their obligations to notify CySEC of changes in their circumstances and personnel, under articles 7, 8, 9, 13 and 25 of the Law Regulating Companies Providing Administrative Services and Related Matters of 2012 (Law 196(I)/2012) (the ASP Law). Circular 190, issued on 21 February 2017, made clear that changes should be notified immediately, without any delay. A duly certified true copy of the passport or identity document of any new appointee, together with a certificate of clean criminal record and a non-bankruptcy certificate. The full name of any person who has resigned, and details of the position they held. The composition of the new board of directors of the ASP including the full name, country of residence and role of each director. A copy of the updated certificate of directors issued by the Registrar of Companies. The ASP must ensure that the persons who effectively manage its business meet the requirements contained in the ASP Law so that they will be able to contribute to the sound and prudent management of the ASP and protect the interests of its clients. CySEC may review the ASPs recruitment records to confirm that proper procedures were followed. While CySEC’s approval for changes in the persons who effectively manage the business of an ASP is not required, CySEC retains the right to oppose any appointment or change of appointment of a person who effectively manages the business, to request additional documents or information from the ASP or to recommend amendments. ASPs must comply with these requests and recommendations. Immediately following any change the ASP must submit a written notification to the CySEC, accompanied by the prescribed form and the information and documents specified in it. The ASP must ensure that shareholders meet the requirements contained in the ASP Law so that they will be able to contribute to the sound and prudent operation of the ASP and protect the interests of its clients. CySEC may review the ASP’s records to confirm that proper evaluation procedures were followed. While CySEC’s approval for changes in shareholders is not required, CySEC retains the right to oppose any appointment, to request additional documents or information from the ASP or to recommend amendments. ASPs must comply with these requests and recommendations. The prior approval of CySEC is required for the appointment of a new compliance officer. ASPs must submit the prescribed application form accompanied by the information and documents specified in it. When proposing a new compliance officer ASPs must have regard to the ‘Fit and Proper' evaluation criteria, published on CySEC’s website. ASPs must ensure that there are no gaps between compliance officer appointments by arranging replacement before any resignation takes effect. An ASP which intends to extend its authorization to additional administrative services must notify CySEC in advance, and provide the following information. Where applicable, depending on the services to be provided, the ASP’s internal operations manual setting out the procedures established to ensure its compliance with the ASP Law. While CySEC’s approval for changes in services offered is not required, CySEC retains the right to oppose any extension or amendment of the authorisation, to request additional documents or information from the ASP or to recommend amendments. ASPs must comply with these requests and recommendations. The ASP must notify CySEC without delay of any changes in the details of licensed persons, the services it provides, the names of its fully owned subsidiaries which offer administrative services according to article 3(5) of the ASP Law, the names of its employees who offer administrative services according to articles 3(2) and 5(1) of the ASP Law and their work address, and the name and communication information of the compliance officer.